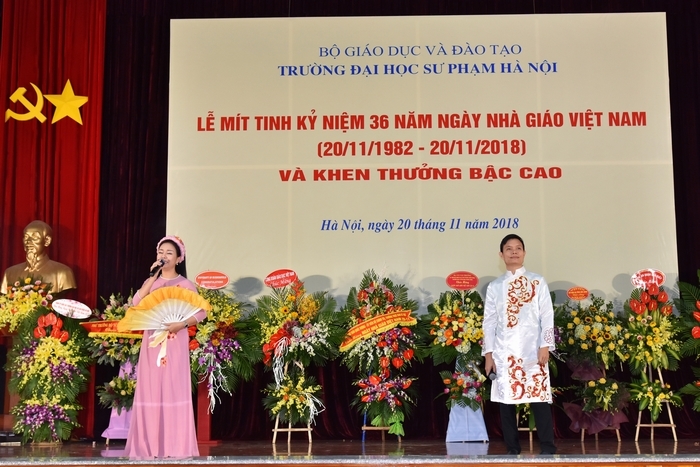 On the morning of November 20, at the 11/10 meeting hall, Hanoi National University of Education (HNUE) solemnly celebrated the 36th anniversary of Vietnamese Teachers' Day and awarded high prizes. 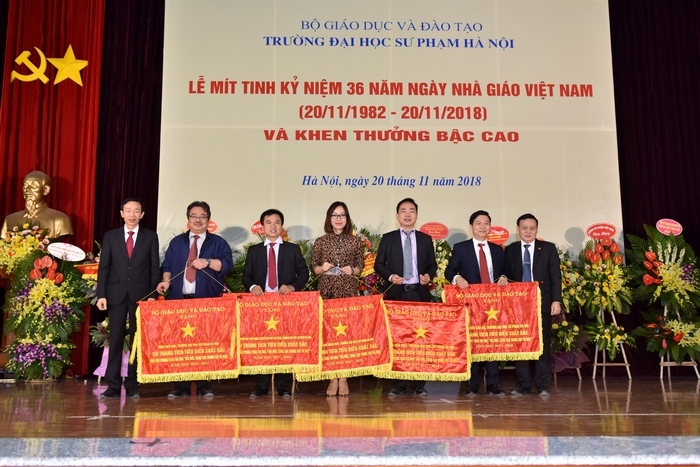 Prof. Dr. Nguyen Van Minh – President of HNUE, Prof. Dr. Do Viet Hung – Chairman of HNUE Council, Assoc Prof. Dr. Dang Xuan Thu – Secretary of University’s VCP Committee, Vice president of HNUE, Assoc Prof. Dr. Nguyen Van Trao – Vice president of HNUE and The former head of the University through periods: Prof. Dr. 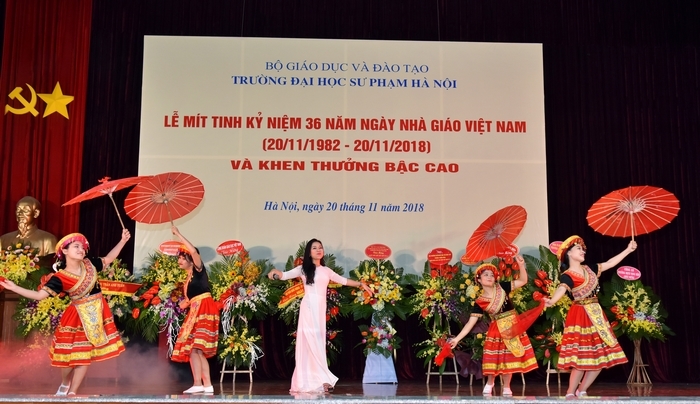 Vu Tuan, Assoc Prof. Dr. Nghiem Dinh Vy, Prof. Dr. Dinh Quang Bao, Prof. Dr. Nguyen Viet Thinh, Assoc Prof. Dr. Dinh Ngoc Bao, Assoc Prof. Dr. Tran Van Ba, comrades of University’s VCP Committee, Board of Trustees, Head of Trade Union, Youth Union, Heads of Offices, Departments, Faculties, Research Institutes, Ha Nam Branch of HNUE and divisions; teachers of Executive Board of Former Teacher of the University, and entire teachers, civil servants and representatives of students studying at HNUE. The anniversary also received attendance of press agencies: Vietnamnet News, Vnexpress News, Time and Education News. 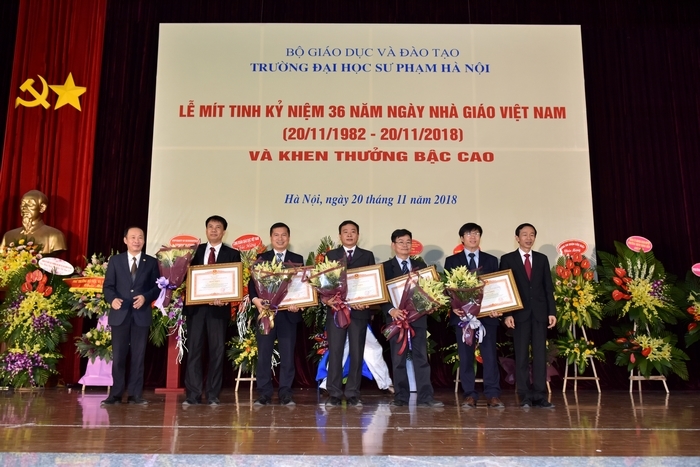 On this occasion, HNUE held a high-level commendation ceremony for 06 individuals who were awarded Certificates of Merit by the Prime Minister, 05 collectives who were awarded Emulation flags of Ministry, and 02 collectives and 21 individuals who were awarded Diplomas of Ministry. The objective of the ceremony is to honor teachers, who provide inspiration and disseminate knowledge with all love and respect, with sense of responsibility and awareness of the modern era which is continuously moving and changing. HNUE is not beyond that transformation, but welcomes, assumes its position and responsibility in making change and realizing advantages of education. 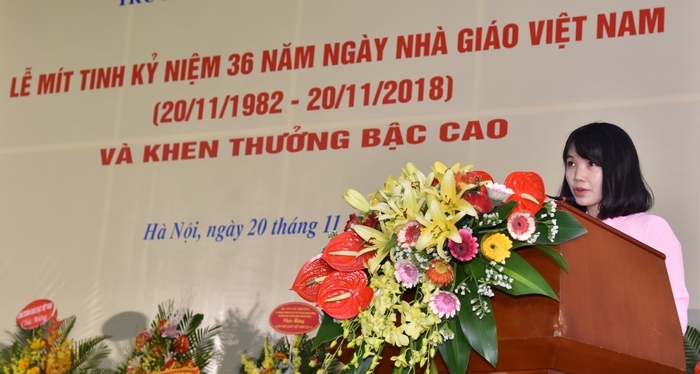 Giving speech at the anniversary ceremony, Prof. Dr Nguyen Van Minh, the president of HNUE emphasized: "We are facing practical demands, we are facing many difficulties, both tangible and intangible, both material and spiritual. We have to fight against cavities in order to preserve our teacher's dignity and we are suffering all those problems because of what we have not completed. However, we cannot be pessimistic, because nowhere but from HNUE does change start!". As a teacher, the President pointed out the root of change: "I want to start with the kids and start with love." And education is the bridge to the formation of "a value, a social standard" towards "an intangible connection of a people’s culture": "The connection is only established through the path of education; moreover, the collision, the erosion of the conflicting factors can influence the values and standards if we do not have enough domain, foundation and condition. Those can only be guaranteed if there is a progressive education with genuine teachers.". Stating at the ceremony, student Le Thanh Nga from Faculty of Literature also expressed to the teachers her profound gratitude, derived from her own experience when she used to be a freshman with a lot of anxiety, as a winner in national and international science fairs: she won the first prize for Student’s science research competition in 2017 and the prize for the KOVA scholarship in 2018. "On the way to realize our dreams, any of us may face a lot of difficulties. However, fortunately, at those hard times we receive great help and encouragement from the teachers. This is a quote from a teacher of HNUE that I always keep in my mind: "When I try my best, maybe I do not win the first place but I win myself." I thought about that to tell myself not to give up.". The positive inspiration and love are the things that will remain durable in staffs and students of HNUE. Every teacher, the university and society will always regard the teacher as "who opens the mind and soul for the people of the time to explore the world but still keep their motherland in their hearts, and nourish their volition for great missions." 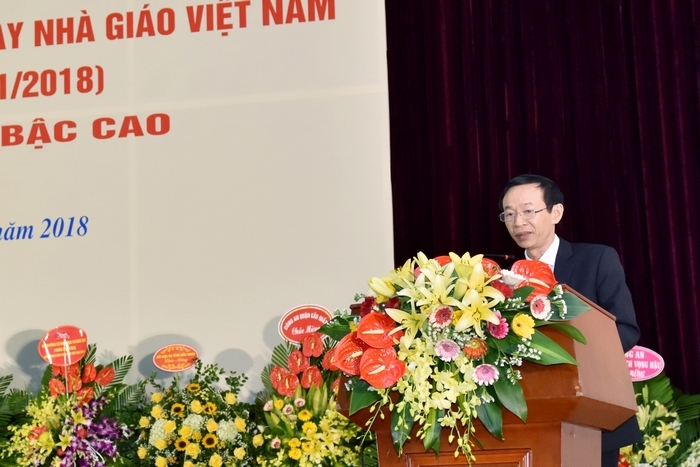 (Prof. Dr. Nguyen Van Minh, President of HNUE).